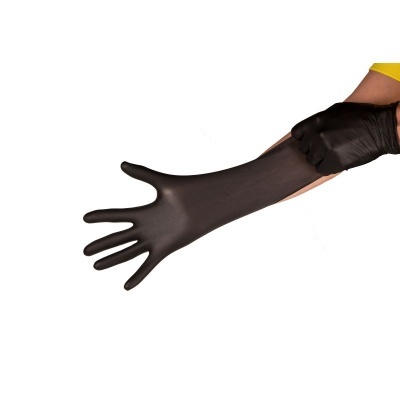 The Black Mamba Torque Grip Tough Disposable Nitrile Gloves are disposable nitrile gloves which combine an ultra-tough construction with a unique torque grip pattern over the entire hand area. This optimises surface performance and enables outstanding grip at all times, making the Black Mamba Torque Grip Gloves ideal for automotive assembly and mechanical work, as well as a host of other applications. The Black Mambas are designated Category II gloves, meaning they are suitable for medium-duty applications and intermediate levels of risk. The Black Mambas are available in four different sizes, making them suitable for most users. 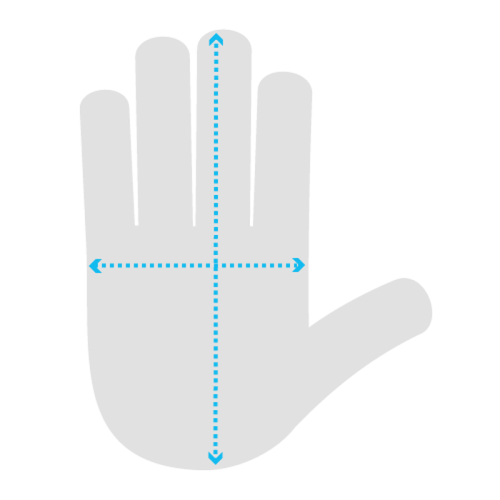 Please measure the width of your hand through measuring your palm from one end to the other excluding the thumb and fingers. The best point to do so is above the thumb region but below the fingers. Great quality product really tough. I'd recommend these gloves to everyone. The Black Mamba Torque Grip Tough Disposable Nitrile Gloves provide effective resistance against chemical hazards. See the table below for a breakdown of their performance against specific chemicals.